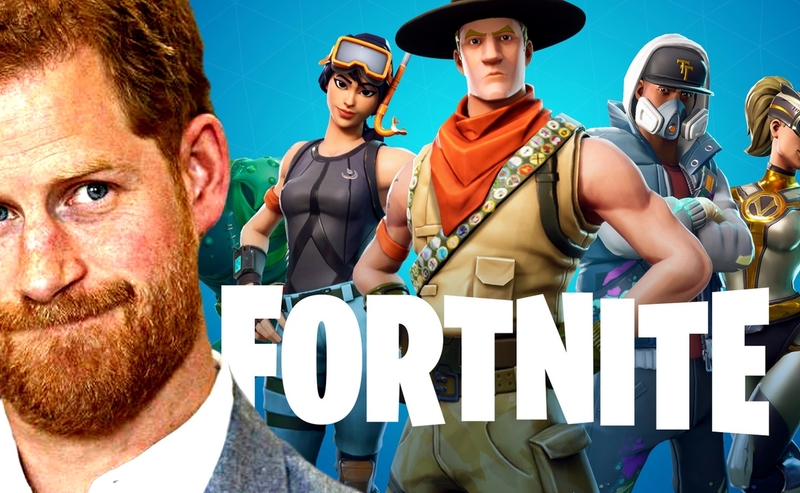 Prince Harry of the House of Windsor, Duke of Sussex, sixth in the line of succession for the British throne, launched a direct attack against the most popular videogame of the past couple years – Epic’s Fortnite (which recently broke the incredible 250-million registered players milestone, as well as 10.8 million concurrent players). Prince Harry visited the YMCA in South Ealing, London, earlier this week for an event about the mental health issues faced by youngsters. After stating that social media channels are more addictive and dangerous than drugs or alcohol in this day and age, he went on to point out the dangers posed by Fortnite in terms of addiction. In fact, he even suggested it should be banned altogether, as reported by The Telegraph. In the interests of prevention there are things that are happening at the top that together all of us are slowly putting the pressure on. A game like Fortnite for instance may not be so good for children. Parents have got their hands up – they don’t know what to do about it. It’s like waiting for the damage to be done and kids turning up on your doorsteps and families being broken. That game shouldn’t be allowed. Where is the benefit having that game your household? It’s created to addict, an addiction to keep you in front of a computer for as long as possible. It’s so irresponsible. Unfortunately, this seems yet another uninformed stance taken on the videogames subject by so-called VIPs or politicians. There’s hardly anything specific that makes Fortnite more addictive than many other games, it’s just massively more successful than most of its competitors. Regardless, it is another chapter in the ongoing debate on the topic of gaming addiction. A little less than a year ago, the World Health Organization (WHO) confirmed the intent to add it among the new disorders listed in the eleventh revision of the International Classification of Diseases (ICD). Meanwhile, major organizations in the games industry like the Entertainment Software Association (ESA) and the United Kingdom Interactive Entertainment (UKIE) have urged the WHO to reconsider. The final version of the ICD-11 will be presented during next month’s World Health Assembly (20-28 May, Geneva, Switzerland), which means we’ll know whether they were successful soon.